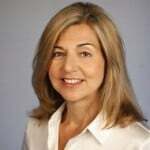 One of New York Times public editor Margaret Sullivan’s recommendations (11/22/14) to her paper for improving its coverage of the Israeli/Palestinian conflict is “Stop straining for symmetry.” It’s advice she seems reluctant to take herself. This is the column I never wanted to write…. I have searched for a way to write something useful and productive amid all this emotion and criticism, and have–until now–put it off. Is what she finally came up with useful and productive? I suppose if you’re interested in the range of complaints a New York Times ombud gets, it’s helpful to hear from three pro-Israel readers who thinks Times reporting is missing context, followed by a critic of Israel who also feels Times reporting is missing context. But surely the job of a public editor is not to convey how tough it is to be a public editor, but to evaluate criticisms made about the paper. There’s remarkably little of that in this particular column; she does say that’s it’s a “deficiency” that the Times‘ Jerusalem bureau doesn’t employ a native Arab speaker–though she pairs this with the observation that the Times decades ago had a rule against sending Jewish reporters to cover Israel. A headline last week about a Palestinian boy who was shot called him only a “Palestinian”; that’s not untrue, but it failed to get across an important element of the story: that the victim, who was badly wounded, is 10 years old. 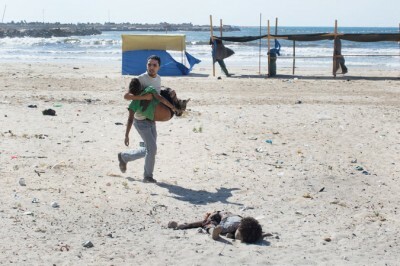 How the New York Times conveyed the carnage in Gaza. But take an issue that was an ongoing problem during the last major round of Gaza violence: the way the New York Times displayed the death toll. The Times accurately noted that far more Palestinians were being killed than Palestinians, but above these figures, the Times gave a number for “targets in Gaza struck by Israel” and “rockets launched at Israel from Gaza.” Those numbers, unlike the numbers of deaths, were in the same ballpark, giving credence to the idea that Israel’s assault on Gaza was a proportionate response to Palestinian violence that just happened not to be very effective. Mr. Kahn said it’s true that Times editors have become sensitized to complaints that they show the suffering of Palestinians only, and sometimes make an effort to balance it. This is what you call “working the refs”: The Times had gotten so much criticism that “they show the suffering of Palestinians only” that it was afraid to accurately report that Palestinians were, in fact, enduring far more suffering. So they added the false “symmetry” of a rocket count–false not only because Israeli weapons were far more lethal, but also because when Israel “struck” a “target” in Gaza, it often did so with far more than a single weapon. One could have as accurately conveyed the “symmetry” of a massacre of a Native American tribe by comparing the number of arrows fired with number of US Army cannon. It’s not very effective to advocate that journalists reporting on a controversial subject “play it as fairly and straightforwardly as possible” if you’re afraid to say what fair and straightforward coverage would look like.